Paul Ajosshi: Crimes Against Food? There are some things in the world that are taboo: certain behaviours, actions, thoughts or ideals that society shuns and dares not speak of. 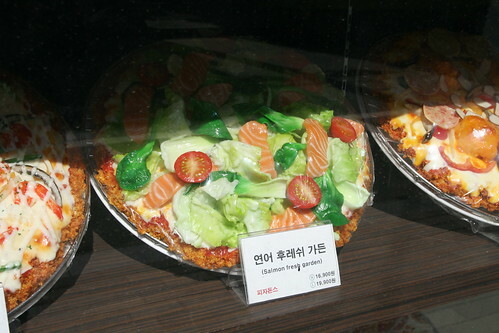 Today I saw something which goes beyond the boundaries of a normal ethical society; today I saw something that chilled my blood and sent shivers down my spine; today I saw the pork cutlet pizza. At Pizza DONS, where the salad bar is always full and the soft drinks always have unlimited refills, is where I saw this crime against cuisine. 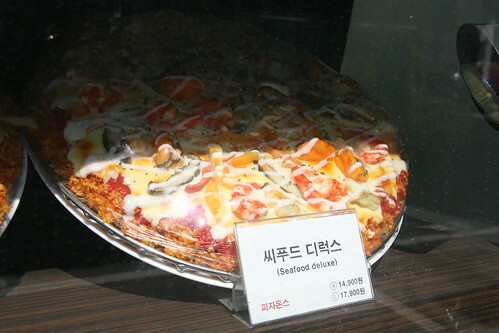 Then we have the "Seafood deluxe", only the tastiest prawns, mushrooms and peppers are bathed in a white mayonnaise like substance and then arranged artfully on a bed of cheese and tomato sauce topped deep fried pork. I love deep fried pork. I love nothing more than tucking into some delicate slices of deep fried pork tenderloin accompanied with a light miso broth and a bowl of fluffy white rice. 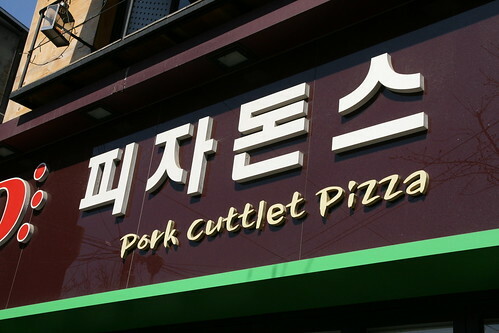 I love the crispy chewy nuggets of fatty porcine goodness that tickle my tastebuds and send me to deep fried nirvana, but a pork cutlet pizza is taking things a step too far. 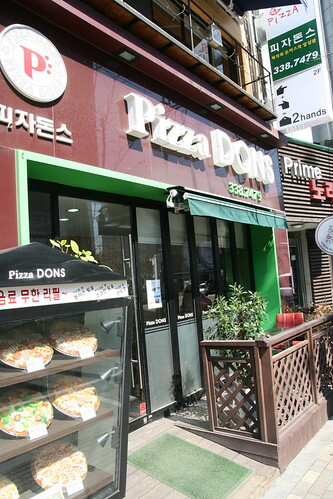 The Full English Breakfast is referred to as a heart attack on a plate by some, but the meals served at Pizza DONS seem more like a slight case of angina, followed by a heart attack, a myocardial rupture and then a slow and painful death. I'm not sure why anyone would choose to eat there, but I'd love to hear from you if you have. 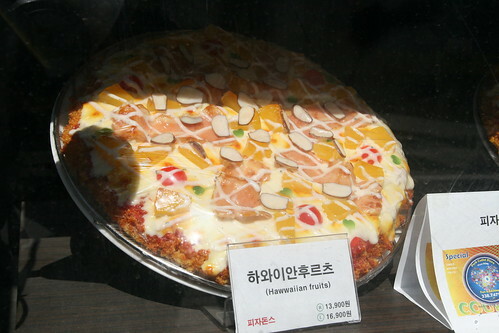 Is there appeal to the deep fried pork cutlet pizza? 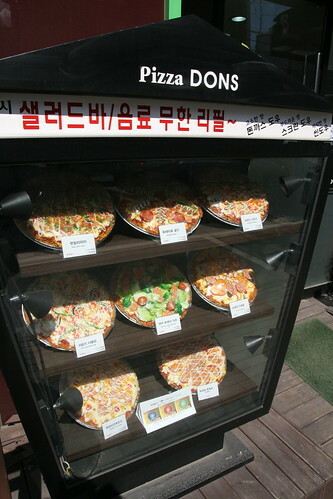 Am I alone in thinking this to be a crime against food and a possible health risk? Has anyone eaten there and survived to tell the tale? It's been on my list of places to try--just for the photos. Do it Joe, do it for the Korean Food Blog Community! Someone needs to make the ultimate sacrifice. Imagine living off this stuff than visiting the States and not finding it anywhere. Poor traveling Korean folk.